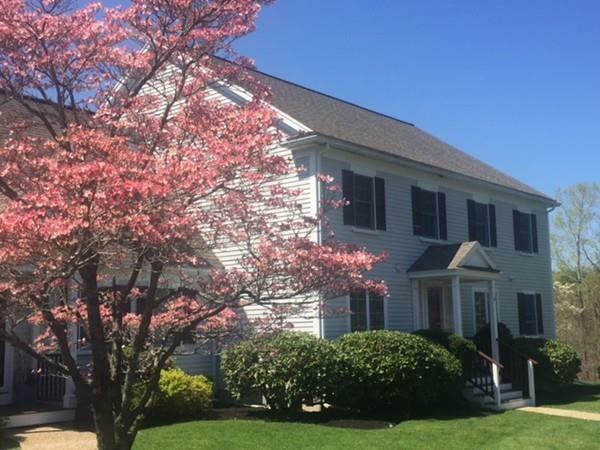 Price reduced on this rarely available Lynnfield townhouse in a prime location. Well maintained, freshly painted unit that is sunny and bright. 2 bedrooms and 2.5 bathrooms. Modern, white eat-in-kitchen with granite countertops and stainless steel appliances. Hardwood floors that have been redone. Large slider leads to the private deck that overlooks the wooded marsh. Laundry located on the second floor, alongside the bedrooms. Detached garage with two additional outside parking spots. The unit has plenty of closet space and more storage than one could ever use!! The walk out lower level is finished with wall to wall carpeting and a full bathroom. Lynnfield offers excellent schools and easy access to all major highways. Minutes to Market Street and Route 1 for shopping and dining. Commuting from this location could not be easier, located minutes from the intersection of Routes 93 and 95.